Today, I want to share with you the other diner experience that we recently had in the West Park neighborhood of Cleveland. A Sunday morning brought us to Gene's Place to Dine. Genius. I was loving it already. Another very large place, so we had no wait and plenty of different dining spaces to choose from. We were directed to the back left room, and it was a really funky space with plenty to look at. I don't really stray too much from my classic diner plate of eggs, toast, and bacon...but every once in a while, I have a craving for French Toast. That usually happens when I see the words "Texas Toast" or "thick-cut" on the menu. Gene's listed it as thick-cut, so I had to go for it. With two eggs (cooked your way) and a side of meat (bacon, for me), this plate of food hit the spot. Also, I loved our server's Gene's t-shirt. It said something like "You have to eat anyway, and we could use the money." We got a good chuckle out of that one. Thank you to everyone that entered the ticket giveaway for this year's Market at the Food Bank, taking place this Sunday to benefit the Greater Cleveland Food Bank and their Harvest for Hunger Campaign. Using Rafflecopter, the random winner is...Margaret Gautier. Congratulations! Please check your email, and reply by 10:00am tomorrow morning or another winner will be selected. If you didn't win, you can still purchase tickets online here for a $100 donation. That donation could provide 400 meals in a local hunger center. The chef lineup and participating beverage purveyors is quite impressive, and the 20th Anniversary event is sure to be a good one. I encourage you to attend. If you will be there, make sure that you say hello! Disclosure: I was provided with four General Admission tickets from the Greater Cleveland Food Bank in exchange for a ticket giveaway and post-event review. I am a former employee of the organization. All opinions stated are 100% my own. Mr. H and I have been on a diner kick on the weekends recently, with a quest to try new-to-us spots. Twice, recently, that quest drew us to the West Park area of Cleveland. Not by design, just simple dumb luck. One diner, we enjoyed, and one I could do without. Our first diner trip was to George's Kitchen on Triskett Road. Apparently, it is a popular neighborhood spot, because not only was the line quite long and the wait quite lengthy, but my Instagram posts that morning got a lot of comments/likes. I wish that we could share the same enthusiasm, but we really didn't care for it. I ordered my standard, eggs over-medium with wheat toast, bacon, and hash browns. The toast was hard and dry, eggs under-cooked, and the potatoes were woefully close to raw. They might have been the worst ones that I've had in a while. Mr. H's corned beef hash omelet was only average, and the meal didn't leave either us wanting more. Two things to mention, though. Some of the lunch food walking by us looked really appealing. We were only provided with the breakfast menu; although them seemed to be serving both. Also, I had heard that the servers don't write down your order, and that they go call it out over a microphone into the kitchen. It's kind of fun to watch! The place was huge, compared to most diners. We were seated in the smaller, front area of the restaurant (pictured below), but there was a large dining room as well. So, it seems like many of you have been to George's Kitchen before. What have you ordered? I don't know that this experience could draw us back there, when there are so many other places to try. Do you have a favorite diner in your neighborhood that we should visit next? May is right around the corner, and it's beginning to be event season in the Greater Cleveland area. That means that some of my favorite spring and summer events are coming up, and it gives me a lot to look forward to. One of those events is, of course, the Greater Cleveland Food Bank's Market at the Food Bank to benefit their annual Harvest for Hunger Campaign. As their former Special Events Coordinator, this particular event will always have a special place in my heart. I had the pleasure of planning four for the organization, and I attribute my interest passion for the Cleveland restaurant scene to working on events like this one. Market at the Food Bank is one not to miss, because it is one of the largest, and it benefits such a worthy cause. Many of us are blessed to not have to worry about where our next meal is coming from, and we are able to indulge in meals from our fabulous local restaurants. I even made a blog out of it. For every $1 donated to Harvest for Hunger, the Greater Cleveland Food Bank can provide four meals in a local hunger center. That means that the $100 ticket price could provide up to 400 meals for people in our community that are struggling. 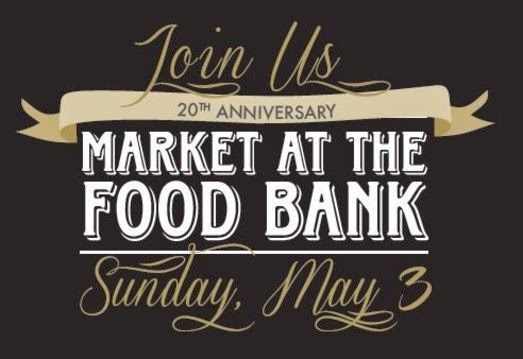 This is the 20th annual Market at the Food Bank, so it's going to be a special one. They are trying to raise a record $200,000 for the organization. The event is bringing together about 50 local restaurants and beverage purveyors to showcase samples of food and drink, right in the warehouse of the Food Bank itself. If you've never visited their facility, it's quite impressive, and you can truly see the impact of your donation at work. I'm drooling already. So, do you want to join me at the event? The Food Bank has provided me with two General Admission passes to give away to one lucky reader. Just use the Rafflecopter form below. You can tweet daily for additional entries. I will be selecting a random winner on Tuesday, April 28th. Tickets are still available, both General Admission and VIP ($175- special early entrance), by purchasing online here. This event typically draws over 1,000 guests, and it includes music, auctions and raffles, and more. Disclosure: I was provided with two media passes and two General Admission tickets in exchange for this blog post, and a post-event blog post. I am a former employee of the Greater Cleveland Food Bank. All opinions stated are 100% my own. I choose to continue to support this worthy cause that I believe in. Our favorite bakery, and wedding cake designer extraordinaire, have moved, and...opened a second location! A Cookie and a Cupcake have finally moved into their new Tremont location, now situated on West 14th Street near Bac. They also opened a second east-side location in South Euclid on Cedar Road. I haven't visited the new east-side location yet, but we popped into the new storefront in Tremont the other day. They have combined their old bakery with their Churned ice cream shop (formally located by Lincoln Park), and they are now offering all baked goods and ice cream under one roof. It's quite a charming "roof" too. I love the soft colors and cheerful wall mural. You'll find interesting flavors here, like: Strawberry Rhubarb, Brown Butter with Lavender Brittle, Avocado with Blackberry Jam, and Roasted Garlic. I suggest always getting a Salted Caramel Cupcake. I'm enjoying their new home on West 14th Street, and I hope that east-siders will visit my favorite bakery in their new location over on that side of town. The only thing that I miss about that smaller shop in Tremont is the intense smell of baked goods that hit you in the face upon opening the door. The new, larger and airier spot just doesn't have that delicious assault to your nose. gour·mand (noun)- a person who enjoys eating and often eats too much. More: a connoisseur of good food. I may not have known what a gourmand was, but I had heard of Gourmand's Deli and Coffee in Valley View for years. Mr. H's company has been known to get sandwiches there for the crew, and he's always raving about them. But, when a place is open for breakfast and lunch on weekdays only, it becomes a bit more challenging to get to. I finally did, and now I even madder that it took me so long. Wow, what a great place! This little shop is producing gourmet sandwiches, salads, soups (daily soup specials are posted to their Facebook page), side dishes, smoothies, and breakfast items. It also has a small wine, beer, and cigar section for shopping. The chalkboard signs are charming; broken down into categories by your protein of choice. I was completely overwhelmed by the quantity of options, and the tempting descriptions. Mr. H pointed out a couple that he enjoys, so I went with one. I had the Tuna Steak with sushi-grade ahi tuna (noticing a trend here lately?) with Cajun seasonings and served with roasted onions, coleslaw, and pesto on toasted sourdough bread ($9.95). The pesto was clearly homemade, and it rivaled my mom's, but I'm still not sure that the flavor worked well with the tuna. However, it was a truly tasty sandwich, and HUGE. I could barely eat half of it. This sandwich shop will get added into the lunchtime rotation from now on. There are about 20 more sandwiches that I need to try! You can dine in or carry out, and they do catering and party trays. Back from our honeymoon, and upon my return from the week-long work trip, we were still craving seafood and quality time with each other. While I was on the road, Mr. H had planned a special, surprise date night for my first night back. A car service picked us up on Saturday evening, and headed towards Downtown Cleveland. Destination...Blue Point Grille. It has easily been five years since I've been there, and I was instantly excited to try it again. Blue Point is located on the corner of West 6th Street and St. Clair, with towering windows and views of the city streets. What I did not remember was the second-level seating area, that perches diners above the main dining room with a fantastic post for people-watching and taking in the decadent decor. I started with a delicious lemon and lavender cocktail, which accompanied our Oysters Sampler ($22 for four different pairs). If you're at Blue Point, you do oysters. Period. I credit them with turning me on to them many years ago, but that's a story for another day. I decided to keep my entree simple and classic. I ordered the My Blue Point Heaven ($44) with shrimp, scallops, petite coldwater lobster tail, lobster mashed potatoes, and green beans. Unfortunately, the dish arrived lukewarm. This does not bode well with seafood. The texture changes, and it is much less pleasurable. Our server was nowhere to be found, so I just kept picking at it until it was beyond the point of returning to be re-fired. As soon as our server did check in, I mentioned the temperature issue. Sure enough, it had happened a couple of other times that evening, so he was extremely apologetic about it. The restaurant offered a complimentary dessert. I appreciated how they handled it. Mr. H had gotten the Bouillabaisse ($35) with Maine lobster tail, shrimp, mussels, and white fish in a saffron broth. Our server suggested a bib, and I can see why. Mr. H navigated well, and left spot-free. It was a good dish, but we decided that Pier W's version is a little better. So, it satisfied a craving for seafood, which isn't that easy to do in Cleveland. But, it wasn't quite the fabulous meal that the price tag indicates. This restaurant should be saved for special occasions and splurge nights out, unless you're headed in to catch their happy hour specials. After a filling meal, we walked over to Hilarities to catch a comedy show, and then to the casino to lose some money. All in all, a fun night out in Downtown, and I'm pretty thankful to have a husband that takes the time to plan special excursions for us. Where do you go for seafood and fish in the Greater Cleveland area? Today I want to talk about the raw tuna that I featured in Wednesday's blog post. When we got back to Cleveland from Costa Rica, we were still craving seafood and wanted to recreate a couple of the fish dishes that we had at the resort. Not an easy task in the Greater Cleveland area, in my opinion. 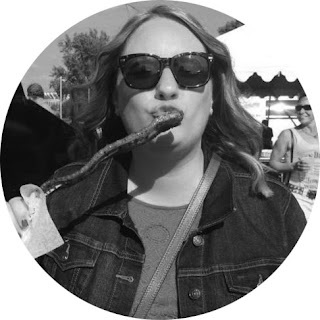 We've had good luck with the West Side Market and Whole Foods, two terrible experiences with the fish at the Brecksville Heinen's, and you can just forget about the seafood department at the local Giant Eagle that we shop at frequently. So, I turned to one of my favorite local chefs, and his answer was...Catanese Classic Seafood in The Flats. I'm familiar with their stand at the West Side Market, but I never knew that they had a large processing center and retail store in The Flats. They are now in the former State Fish Company location. The new(ish) location for them isn't that old, and it seems to be a best-kept secret. Or, maybe just from me, but just in case, I had to share this new discovery with you. They are located on Merwin Avenue on the east bank. The retail shop is open Tuesday - Friday from 10:00AM - 5:00PM, and Saturday from 8:00AM - Noon. Slightly more convenient than the West Side Market stand. They have a section of shelves with dry goods and sauces displayed just inside the door. Two walls of frozen items (only a small section pictured). Finally, a case of fresh fish, both whole and not. That day, we picked up tuna to eat raw (so I needed to trust my source!) and a couple of lobster tails. I see a lot of trips here in our future. So, was I the only one unaware of this source for seafood and fresh fish? We spent 10 glorious days in the Costa Rican paradise. ...and, of course, ate some spectacular food. We immediately tried to replicate a couple of dishes at home. I don't think that we have quite perfected them yet, but we had fun trying! Do you ever try to recreate memorable vacation dishes once you're back home? All in all, it was the most wonderful vacation that I've ever been on. From start to finish, it was spectacular, and worth every penny and the time away from our hectic lives. This trip will be something that we'll never forget, and we have our generous friends and family to thank for making this happen for us. So, life happens, and blogging takes a backseat. But, I'm back!